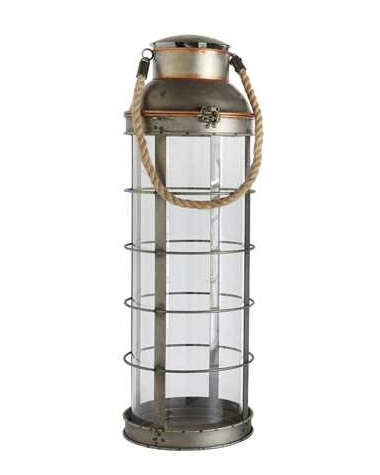 Light your way with this vintage looking ships lantern. Made from metal and glass, with a jute handle, this 26" tall lantern adds a waterside feel to your house or porch. The lantern accepts a large cable (not included) and provides a warm glow to illuminate your summer evenings.